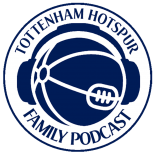 ”White Hart Lane the World Famous Home of the SPURS” that introduction alone sends shivers up my spine… Ali Hasan shares his experiences with us. Atour Toma has a look at why Tottenham are no longer a cup side. This weekend, for the first time in a while, Atour Toma started to doubt Tottenham’s title credentials for the season. As Tottenham prepare for the second leg of their Europa League Round-of-32 tie with Fiorentina, they were dealt a double injury blow.